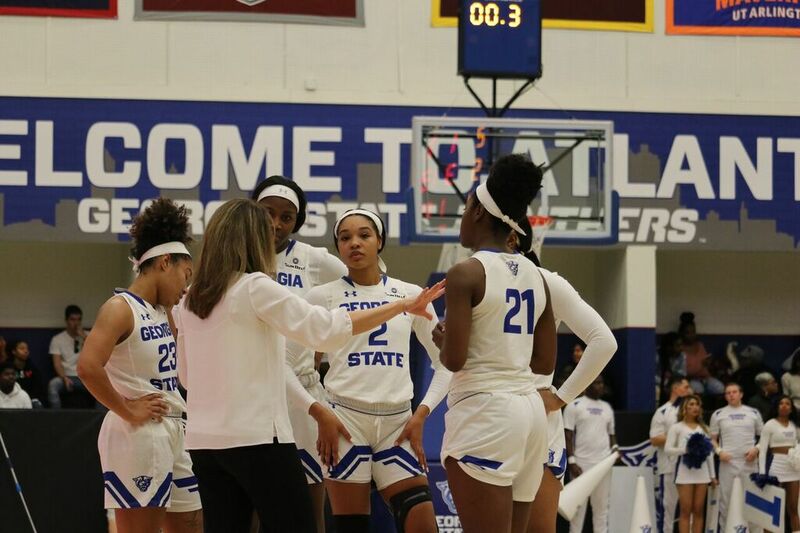 Challenging is the word that Georgia State head women’s basketball coach, Sharon Baldwin, used to describe her eight years here at Georgia State. Baldwin’s tenure here has been one filled with many ups and downs, and like everyone, she has had to deal with her fair share of adversity. But she has always found a way to make it work. Recently the biggest problem that Baldwin and her teams have had to deal with had been devastating injuries– the ones that derail a season. The past two seasons the Panthers have lost their best player to begin the season, and it has set them back. During the 2016-17 season, Madison Newby tore her achilles and missed the entire season after coming off a year where she won Sun Belt Freshman of the Year. This season, reigning Sun Belt Freshman of the Year, Jada Lewis went down with an injury. “I think injuries have been a big challenge for me and it’s something that you really can’t control, and you really just have to move on with it and go,” Baldwin said. Despite the adversity, one thing that has remained constant throughout her career is her eye for talent and her ability to help develop players. She also can find excellent assistant coaches to help with the program. Players like Newby, Lewis and Tiffany Holston are just a few of the really good players that Baldwin has recruited or helped develop recently. Dating back to her early days at Georgia State, those players were Chan Harris, Cody Paulk and Kendra Long. One of her better players, who is now a member of the coaching staff, Jasmine Young played for Baldwin at East Carolina. Young says that Baldwin still has a lot of the same values she did now as she did back at East Carolina. Now, as her eighth seasons is coming to a close, Baldwin says that she doesn’t have any regrets during her time here.